Have you ever dreamed of taking part on an ski movie? If you like skiing, you most likely enjoy watching ski movies too. Professional skiers riding fresh powder in breathtaking locations. Have you ever tried making a movie of your own? Unfortunately, the results usually look nothing like the pro movies. Factors such as the choice of equipment, lenses, lighting, editing, budget constrains, etc… make it very difficult to get professional results. Then come the arguments over whose turn it is to film. We all want to be the one in the action, not recording it! We work with professional skiers and movie makers who will give you an excellent ski filming service, helping you get your own professional quality ski movie. recording all your skiing action whole day long. according with level, weather and snow conditions. Maximise your skiing time without unnecessary technical delays. All of our packages are flexible to adapt to your needs, get in touch with us to arrange the best deal for you. For skiers of all Levels, who want a professional movie edit of themselves skiing on piste. One expert videographer will accompany you during the day. The videographer will make the best available plan according to the weather and snow conditions of the day. We will always try to keep you skiing as much as possible safely in accordance to local regulations. 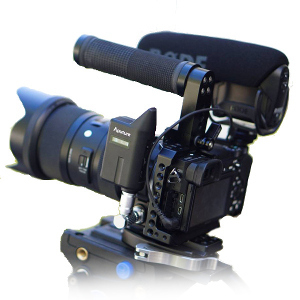 The equipment used will be mirrorless mid-range cameras, sports mini cameras and/or other necessary equipment. For advanced skiers looking for a professional movie edit, skiing in all terrains, predominantly off-piste, inside the boundaries of the resort. One top qualified ski coach/videographer will guide you during the day. For advanced skiers looking for a professional movie edit with extra quality. Skiing will take place in all terrain including off-piste within the boundaries of the resort. One qualified ski coach and on videographer will guide you during the day. The team will make the best plan according to the weather and snow conditions of the day. Always trying to keeping you skiing as much as possible, but in a safe way and respecting the local regulations. The equipment used will be mirrorless mid-range cameras, sports mini cameras, HD drone and/or other necessary equipment. For semi-pro and pro riders wanting a professional ski movie in the backcountry and steep terrain. One IFMGA mountain guide and one expert skier/videographer will guide you. Footage will be obtained with professional video cameras, sports mini cameras, HD drone and all other necessary equipment. We team up a junior competitor with a pro competitor and make an awesome edit. This way the juniors get to ski and learn from one of the worlds best skiers! An IFMGA mountain guide an expert skier/videographer and a Pro rider from the Freeride World Tour will guide and ski with you.